Cecilia Krieger's parents were Moses and Sarah Krieger who were merchants. Cecilia was born into a large Jewish family with her parents Moses and Sarah having three daughters and two sons. Cecilia's sisters were Regina and Rae while her brothers were Samuel and Nathan. Cecilia attended school in Poland but then went to Vienna in 1919 where she entered the University of Vienna to study mathematical physics. The persecution of Jews made life extremely difficult for the Krieger family, and Cecilia's brother Samuel sponsored his mother and sisters to escape to Canada. This they did in 1920 and arrived in Toronto where Cecilia entered the University. This was certainly no easy task since at the time that she arrived she did not know hardly a single word of English. An added complication was the fact that she had to support herself financially and this she did by working in the Muskoka Inn while she studied at University. Despite all these difficulties she received her BA degree in 1924 and her MA degree in 1925. To qualify for the Master's Degree she took graduate level courses on: Modular Elliptic Functions given by Jacques Chapelon; Minimum Principles of Mechanics given by John Lighton Synge; The Theory of Sets given by Samuel Beatty; The Theory of Numbers given by John Charles Fields; and The Theory of Functions given by W J Webber. She remaining at the University of Toronto to undertake research under the supervision of W J Webber. Her doctoral dissertation was On the summability of trigonometric series with localized properties - on Fourier constants and convergence factors of double Fourier series. It was published in two parts, the first in 1928 and the second in 1930, both in the Transactions of the Royal Society of Canada. When she was awarded her doctorate in 1930 from the University of Toronto, Krieger became the third woman to be awarded a doctorate in Canada and the first to be awarded a doctorate in mathematics. Krieger spent a year at Göttingen University. Appointed an Instructor at the University of Toronto in 1928, she was promoted to Lecturer on the award of her doctorate in 1930. By this time she was working to support her unmarried sisters as well as herself, since her father had died in a car accident in 1929. During World War II Krieger repaid the debt she felt she owed for her own salvation from persecution of Jews when she looked after a family of Jewish refugees who had fled to Canada from the Nazi horror. 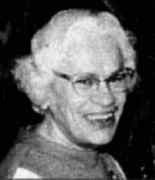 In 1942 she was promoted to assistant professor and she continued teaching at the University in the Departments both of Mathematics and Engineering until she retired in 1962. She married Zygmund Dunaij, a Jewish survivor of the Nazi holocaust, in 1953. After officially retiring, Krieger continued teaching at the University of Toronto until her husband died in 1968. After this she taught at Upper Canada College until her own death at the age of 80. It depends upon the individual. The Krieger-Nelson Prize Lectureship mentioned above was set up by the Canadian Mathematical Society in 1995.